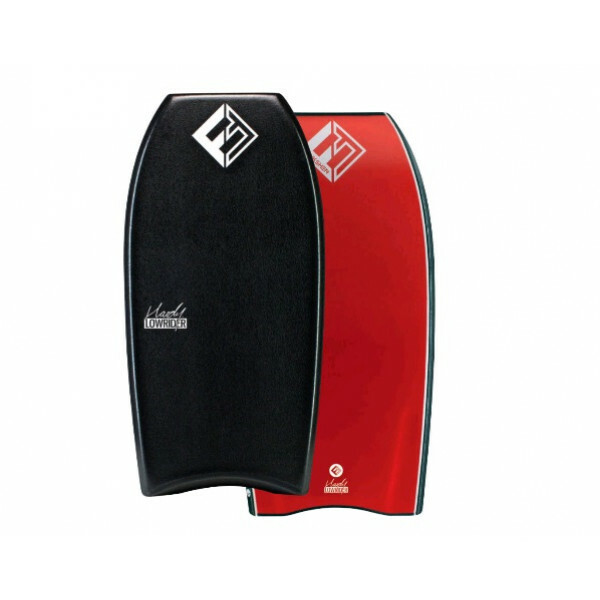 HARDY SERIESMy boards are fine tuned to reap the most of what you’d want from a bodyboard in the most critical moments. 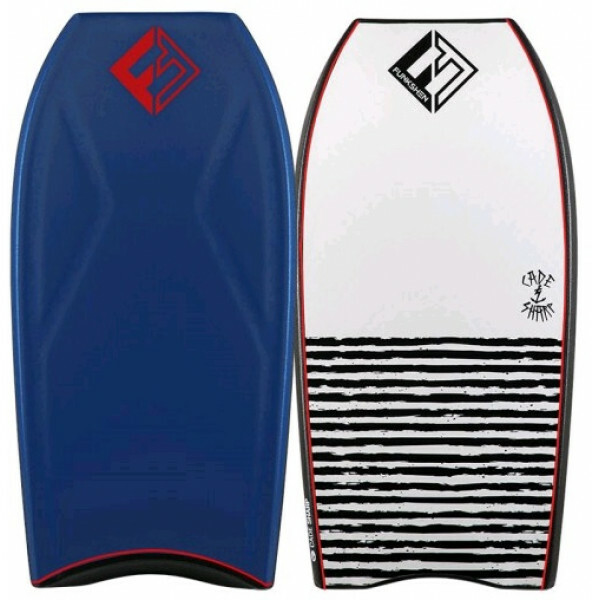 I like to go fast and I like to be in control. 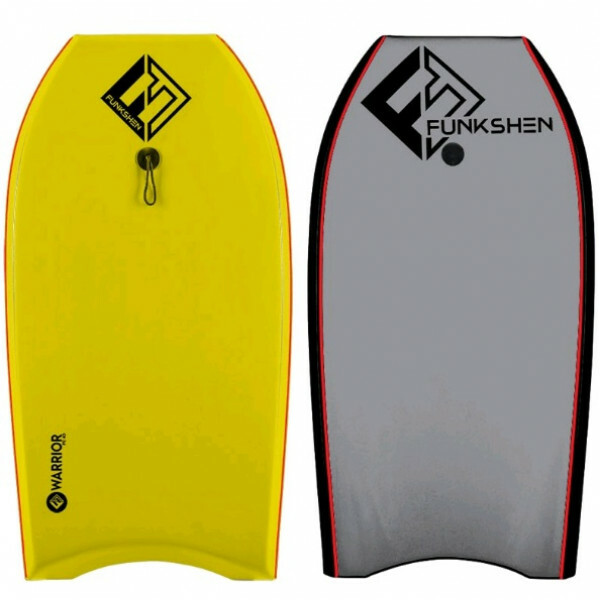 I like a good responsive board that will flex when I need to scoop and remain stiff through landings and speed lines.My new Funkshen ..
Board Features:Core: D12 (D12 PP is a lightweight durable Polypropylene offering the rider more flex and recoil. 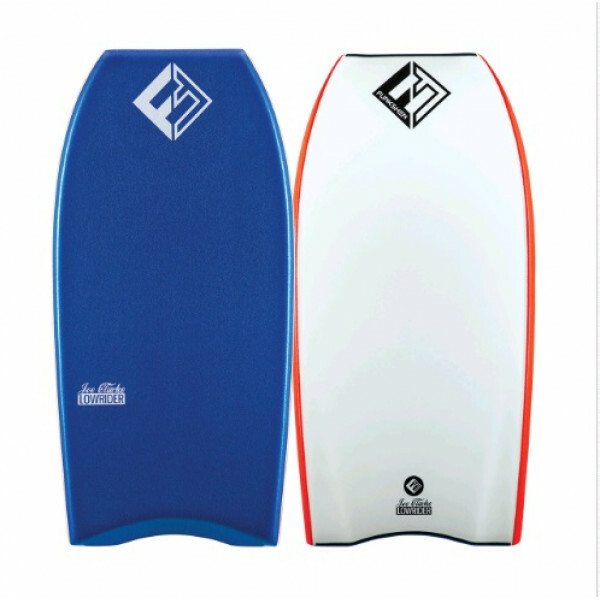 Manufactured as a 1.2LB density, the 100% waterproof core is ideal for the rider looking for a high performance bodyboard with additional flex. 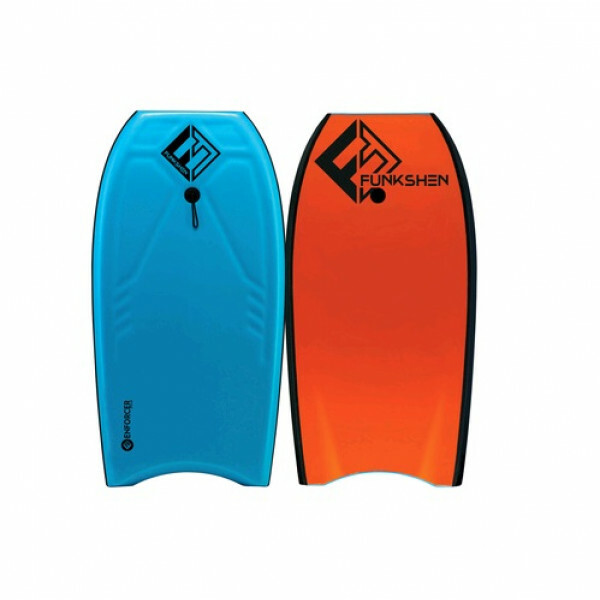 D12 is also ideal for colder waters)St.. 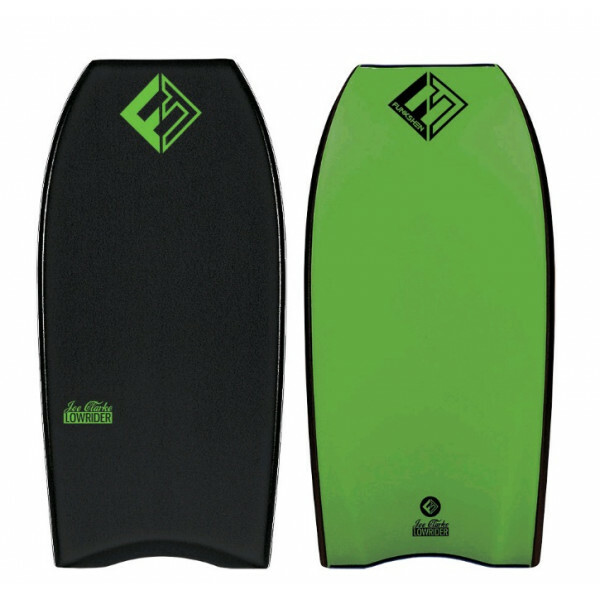 Features:Core // PP (1.9pcf Polypropylene)Stringer // Precision Recoil StringerRails // 55/45 Double RailsChannels // Graduated ChannelsSlick // DuPont Surlyn®Deck // Cellu-Cushion 8lb PETail // Crescent (Tail Piece)Additional Features // Deck Contour Thu.. 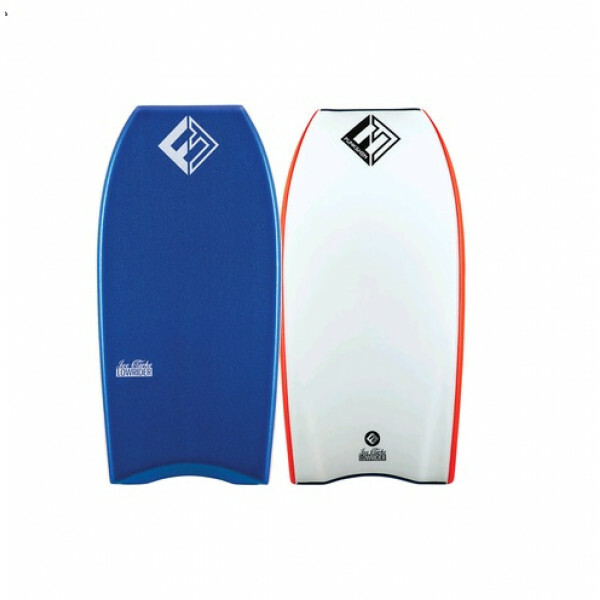 The Enforcer is deigned for the intermediate rider. 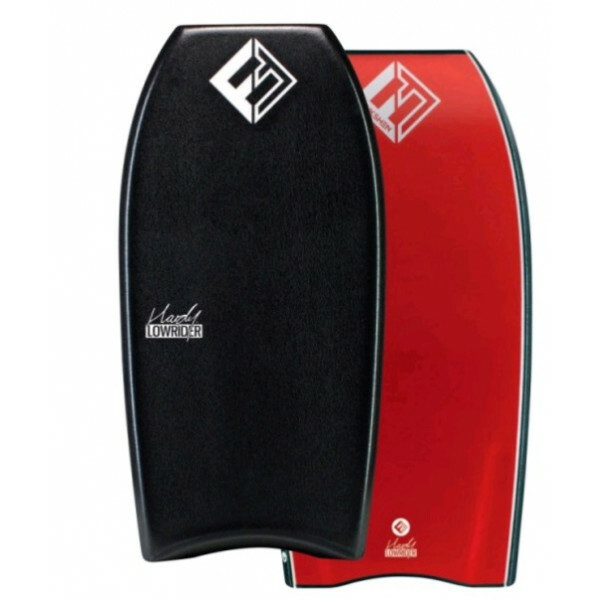 The EPS Core provide extra floatation & buoyancy. 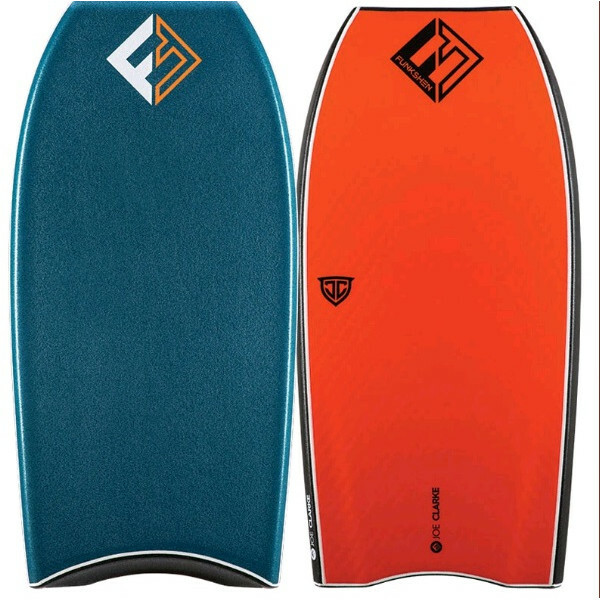 The 2 x Stringers add extra strength to the board for those who demand it. 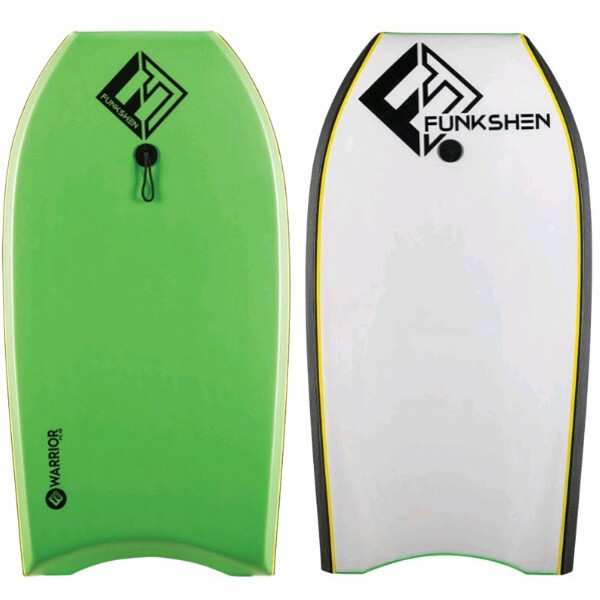 The Deck Contour helps with extra grip & perfect body placement.CORE: EPSDECK: Cross Link ..
Funkshen Joe Clarke D12 PP 41.5"
Funkshen's newest recruit - Joe Clarke has come up with a cracking board for this 2016/17 model.He has utilised his smooth riding style mixed with exposive moves to come up with a great versatile template that will perform in all conditions.FEATURES:AVAILABLE SIZE: 41.5"CORE: D12™ PPEXPAND..
NEW Funkshen 2017 Joe Clarke Low Rider PE BodyboardJOE CLARKE LOW RIDER PE$199.95Available in 40″ / 41″ / 42″ / 43″CORE: PEDECK: Cellu-Cushion(R), 8lb PESLICK: DURA-HDPE Slick SkinRAILS: 55/45 Double RailsTAIL: CrescentADDITIONAL FEATURES: Carbon Fibre Stringer, Channel..
Funkshen Hardy Low Rider PE Bodyboard 42"Ryan Hardy Low Rider PE Bodyboard From FunkshenSize 42BOARD SPECSCORE: PEDECK: Cellu-Cushion(R) 8lb PESLICK: DURA-HDPE Slick SkinTAIL: CrescentRAILS: 55/45 Double Rails ADDITIONALFEATURES: Carbon Fibre Stringer, Channels, Nose Grips, Nose and Tail Buffer.. 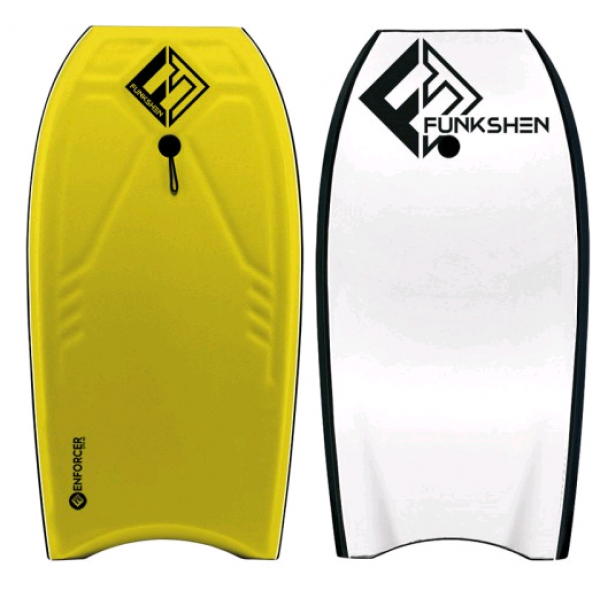 The Funkshen Warrior is a great Beginners board. 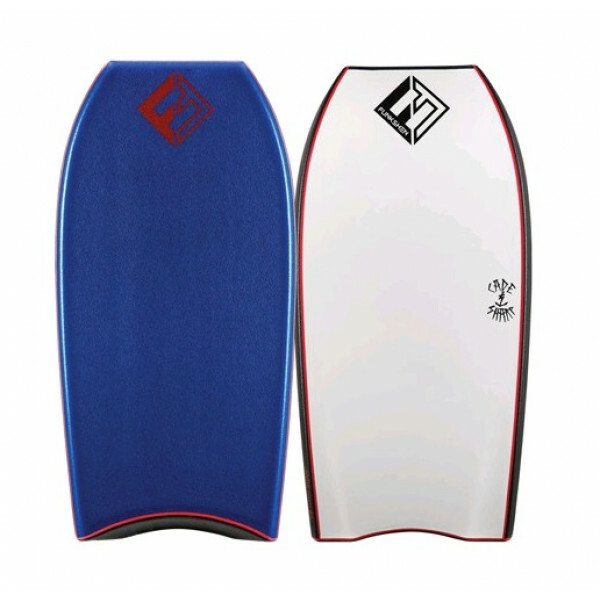 The PE Core is a highly durable yet flexible core making it the perfect choice for those wanting a board that lasts & help them get to the next level.FEATURES:AVAILABLE SIZES: 36"/ 38"/ 40"/ 42" CORE: PE ( Dow) CoreEXTRUDED PO..